Among Suffolk's smaller towns, Sudbury is the biggest. Until the 19th century, it was the county's third largest town, but industrial development elsewhere has left it behind. 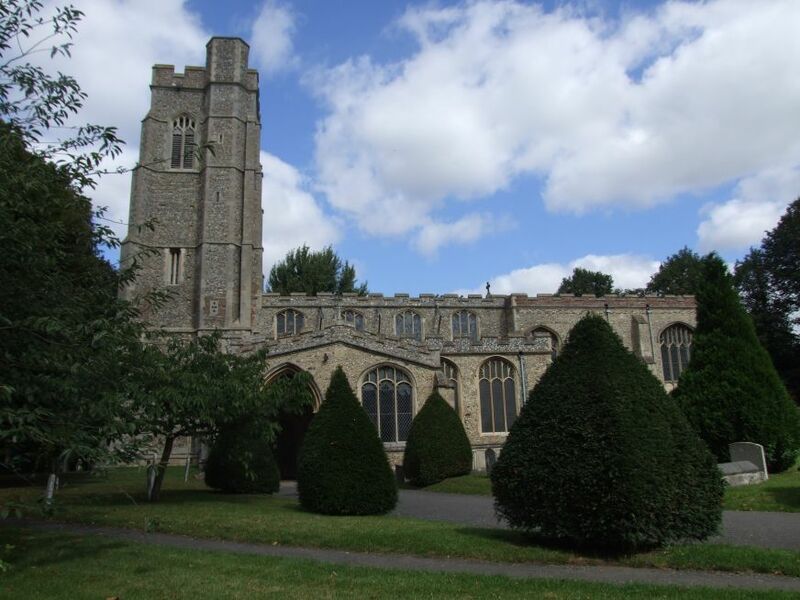 It still seems bigger than the official population suggests, since it embraces Great Cornard, Long Melford and Chilton within its built-up area, and you can visit six fine medieval churches here without travelling through fields. 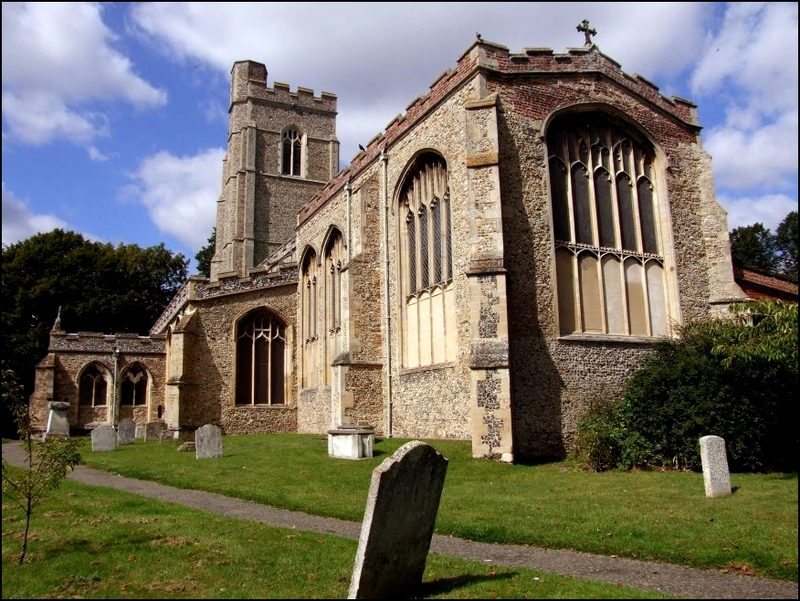 Three of these churches are in Sudbury itself, and Sudbury is the only town in Suffolk outside Ipswich and Bury where the town centre was divided up into separate parishes, a mark of the medieval prosperity of this place. All of them are substantial, all of them are interesting. 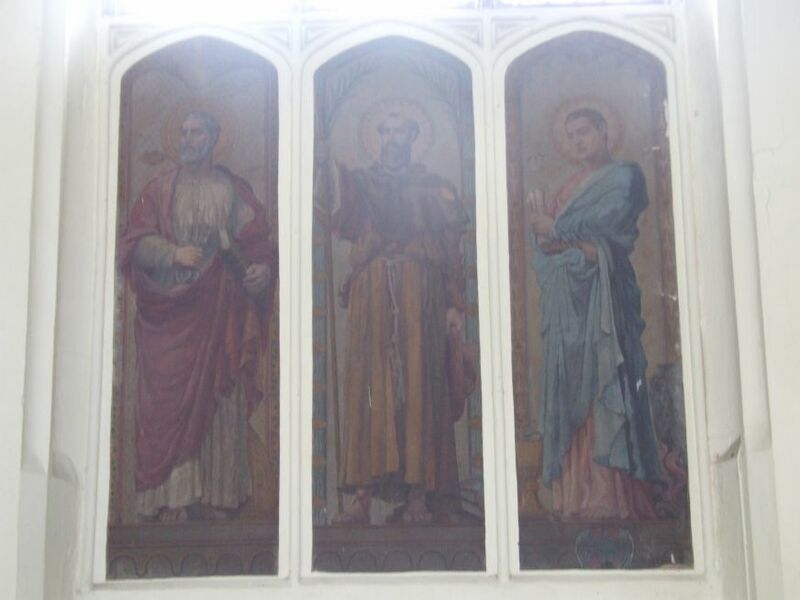 All of them are over-restored, and as the mother church of Sudbury, St Gregory has suffered more than most. All Saints lies to the south of the town, and St Peter is on the market place. Until the Reformation, it was a chapel of ease to St Gregory, before being given its own parish, until redundancy came calling in the 1970s. 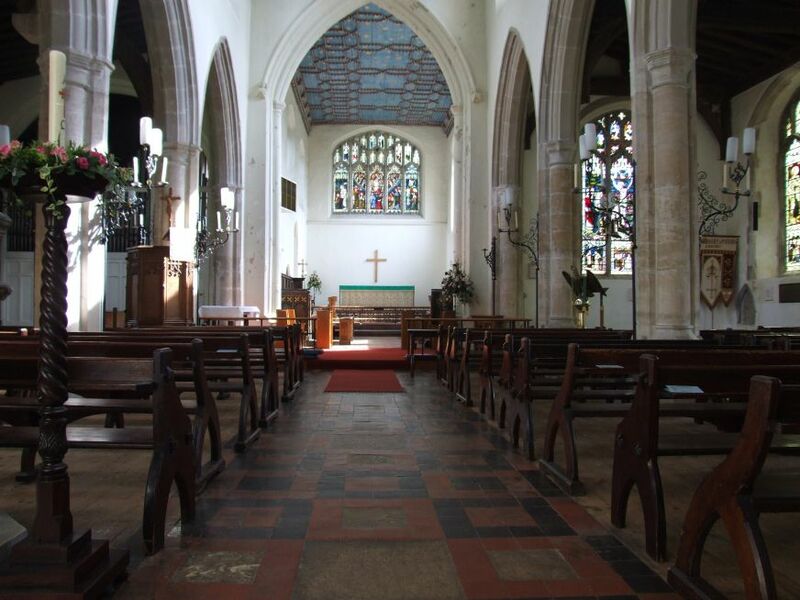 All Saints and St Peter both have wholly urban settings, hemmed in by shops and housing. But St Gregory's aspect has been revealed by the construction of the ring road, which necessitated demolition of many houses in Gregory Street and Croft Street. With the Croft, a large grassed area leading down to the River Stour, and Leonard Stoke's jewel-like 1890 Church of Our Lady and St John beside it, St Gregory has a lovely setting. It looks grand from a distance. Close up, it is a large and rather battered old lady. The lower parts of some windows are bricked up, probably an attempt to conserve heat when the church was a preaching house, so that people could endure the long sermons without freezing. The same thing can be seen at Blythburgh. The tower has a stair turret rising above the battlements, in the approved Stour Valley manner. A bequest of 1446 left the money for its construction. The best approach is from the south, along the line of Gregory Street. Once past the rather alarming war memorial, we enter the graveyard through an avenue leading to the great south porch, contemporary with its clerestory above. The shape is similar to nearby Glemsford, except that here the porch and south chapel are combined, built together. 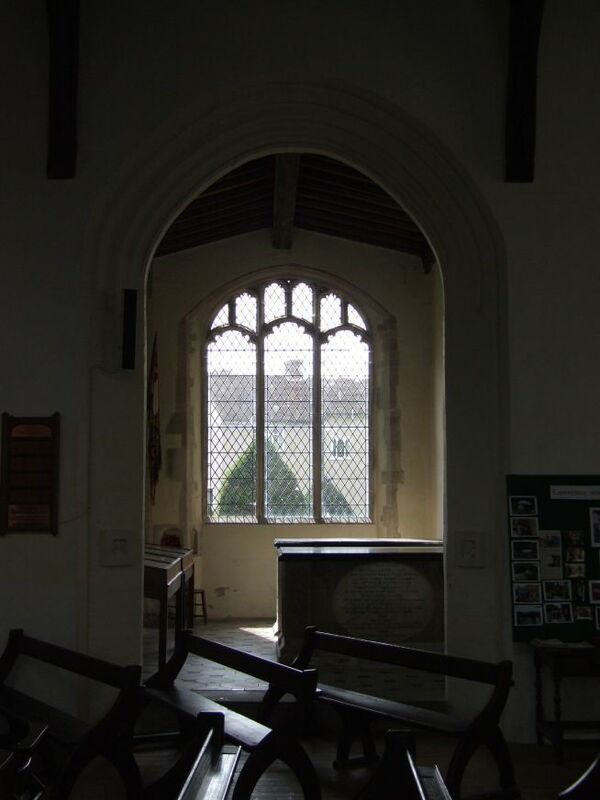 The chapel is flush with the southern entrance to the porch, unlike the same at Stonham Parva, where intruding buttresses reveal that they were built separately. The chapel formerly contained the shrine of Our Lady of Sudbury; this has been restored recently, four centuries after its destruction, by the adjacent Catholic church. There seems to be a good relationship between these two churches, incidentally; on several occasions recently, St Gregory has been used by the Catholic congregation, who no longer fit into their own church. 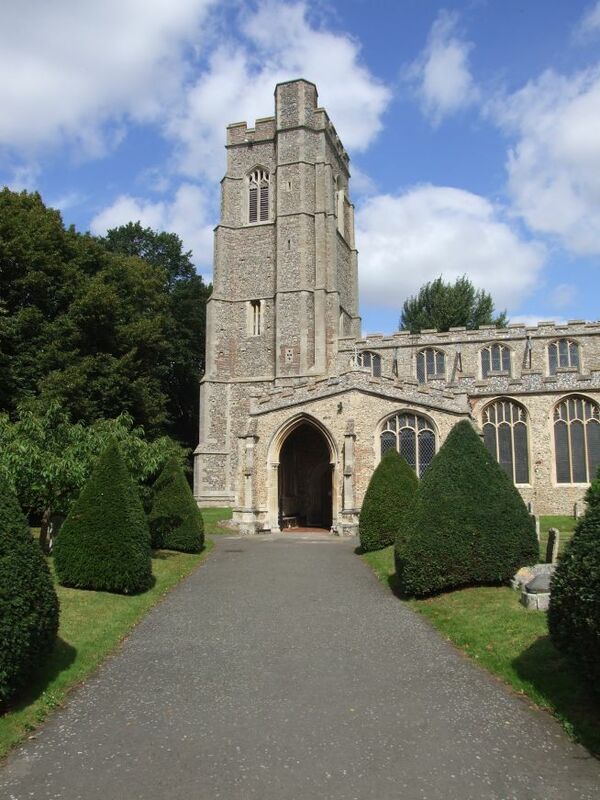 This is perhaps the grandest entrance to any Suffolk church, and you step into an interior which is rather pleasingly shabby; one is so used to Stour Valley Perpendicular being trim and shipshape, but here the patina of age survives, as well as a sense of continuity of use. 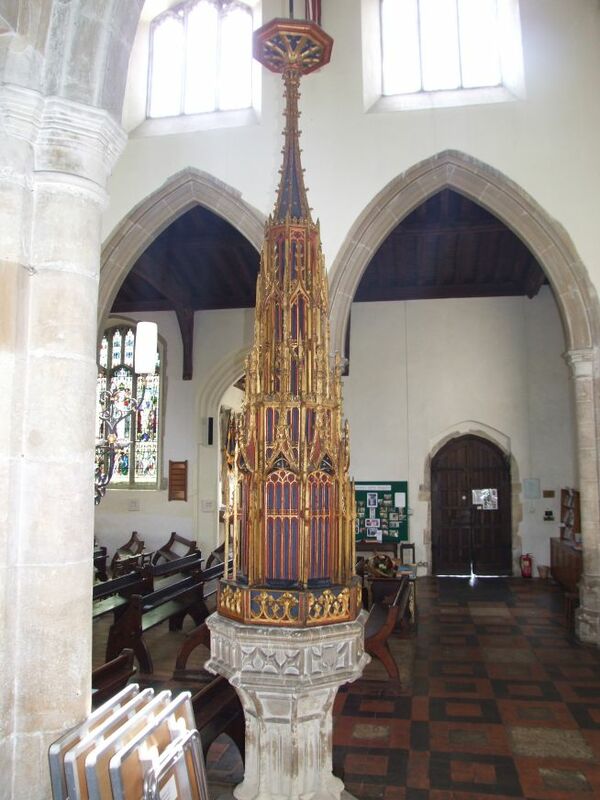 Directly ahead of you is the magnificent font cover, much recoloured, and with its statues replaced. 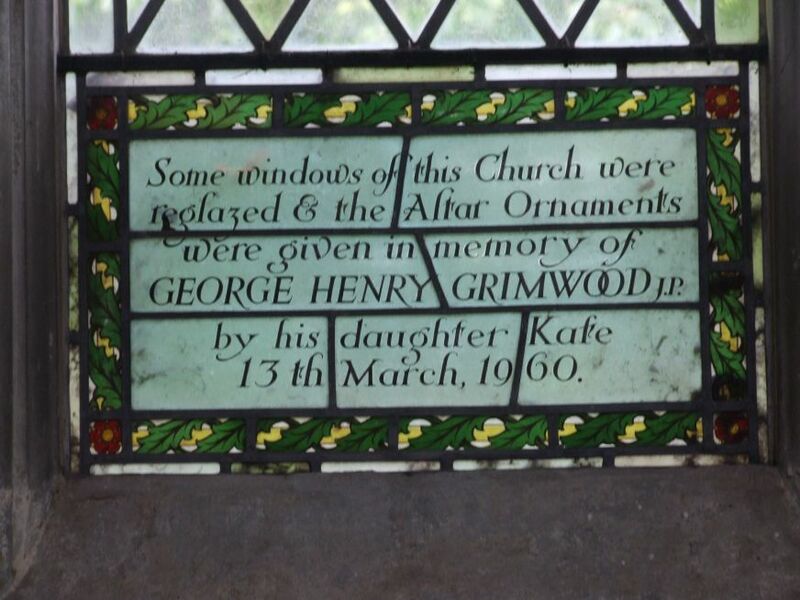 If those at Ufford and Southwold did not exist, it would seem grander. The 19th century restoration here was under the great William Butterfield, his best work in the county. 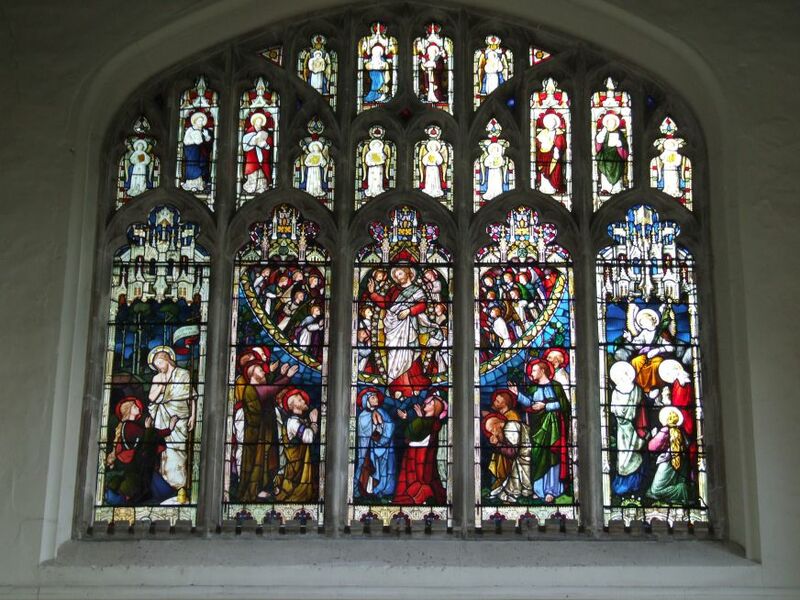 There is a fine sequence of late 19th and early 20th century Saints in the nave windows, which are imposing without being overwhelming. Look out for the talbot badge here and outside - this dog, similar to a modern greyhound, is the symbol of a rather unsavoury character called Simon of Sudbury, of whom more in a moment. The dado of the roodscreen survives; unfortunately, it has been completely repainted with sentimental early 20th century figures. 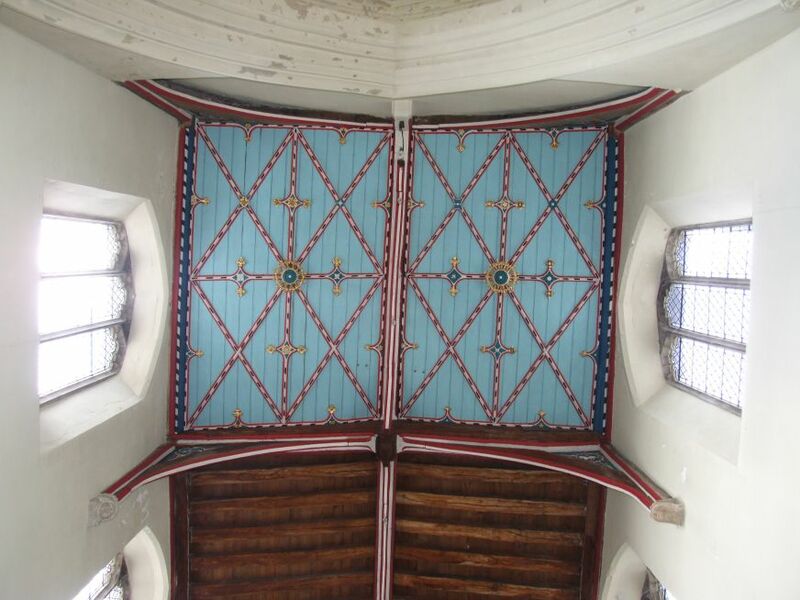 Other repaintings include the chancel roof and canopy of honour, which are both splendid and memorable. They are done well, and the respect for continuity is like that at Southwold, albeit on a smaller scale. In contrast to this enthusiasm are the fine medieval benches in the chancel. They are one of the few survivals of the earlier medieval church, before the cloth industry wealth of this town in the 15th century led to the almost complete rebuilding of St Gregory. 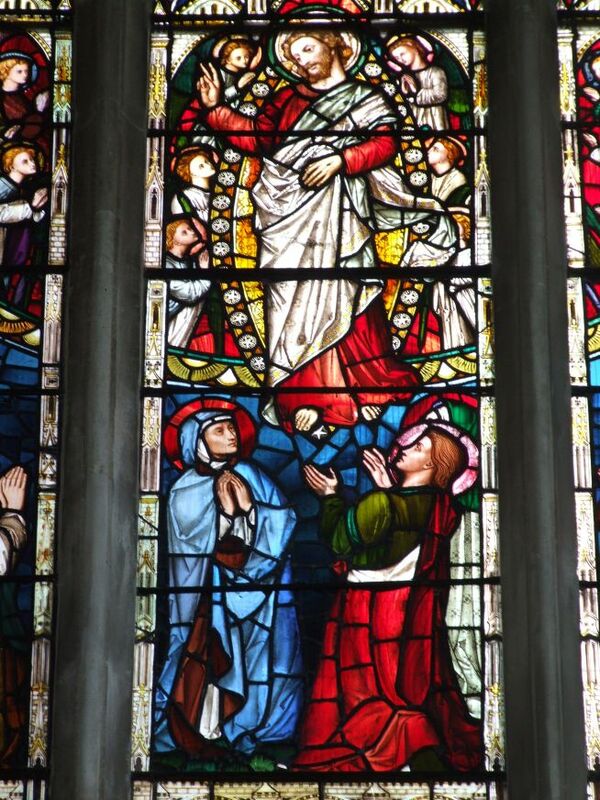 The earlier church was the work of Simon of Sudbury, Archbishop of Canterbury and Lord Chancellor of all England. His association with this church ended in a traumatic way, as we shall see. The south arcade also survives from his church, completed in the year before his death. 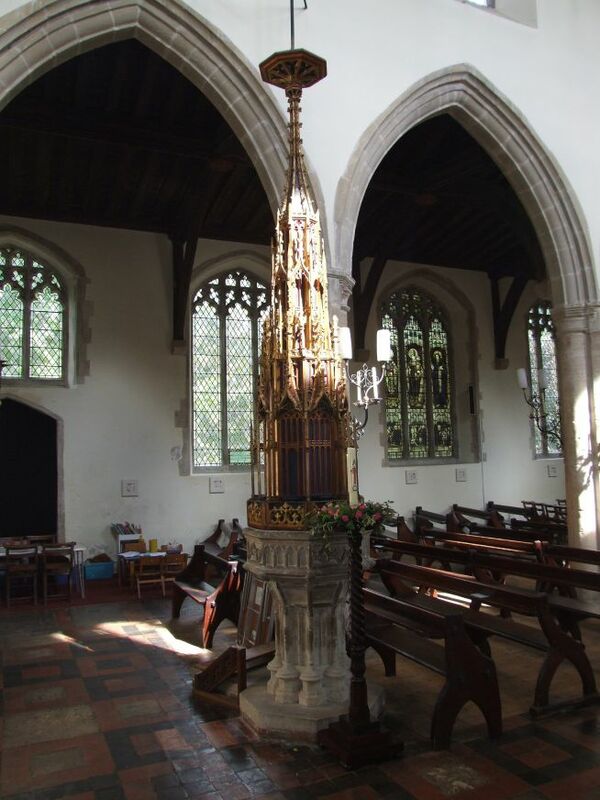 St Gregory has two great survivals, one of which is on permanent display, and the other viewable by appointment. The first is a single unrestored panel from the rood screen. The reason it is exciting is that it shows Sir John Schorn, who, legend has it, conjured the devil into a boot. Schorn was invoked in prayers for the lame, but was never officially recognised as a Saint by the Catholic Church. His elevation to intercessionary status was not unique, for the same was true in medieval times of others, including Bede and Henry VI. 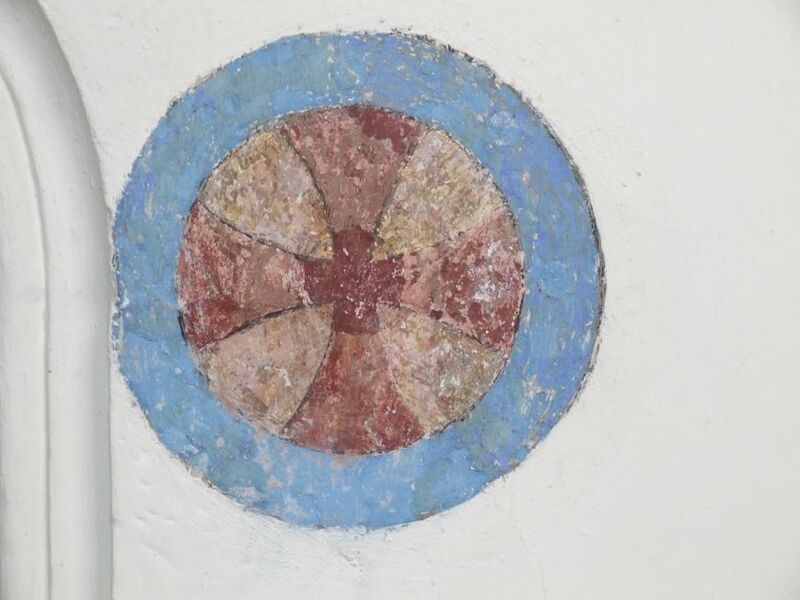 For many years, this panel was in the local museum, but it has now been returned, and can be seen attached to the south chancel wall. The other relic is the mummified head of the aforementioned Simon of Sudbury, the vile architect of the Poll Tax when he was Lord Chancellor in 1380. In 1381, the peasants revolted, and along with that most unpopular of English Kings, Richard II, he took refuge in the Tower of London, where he was messily beheaded by a lynch mob. That this head is no longer attached to a body is a mark of the anger against him. The head is kept in a glass case, but they'll show it to you if you ask nicely. He founded a College of Canons in 1365 and rebuilt the chancel to accommodate them. He co-founded it with his brother John. 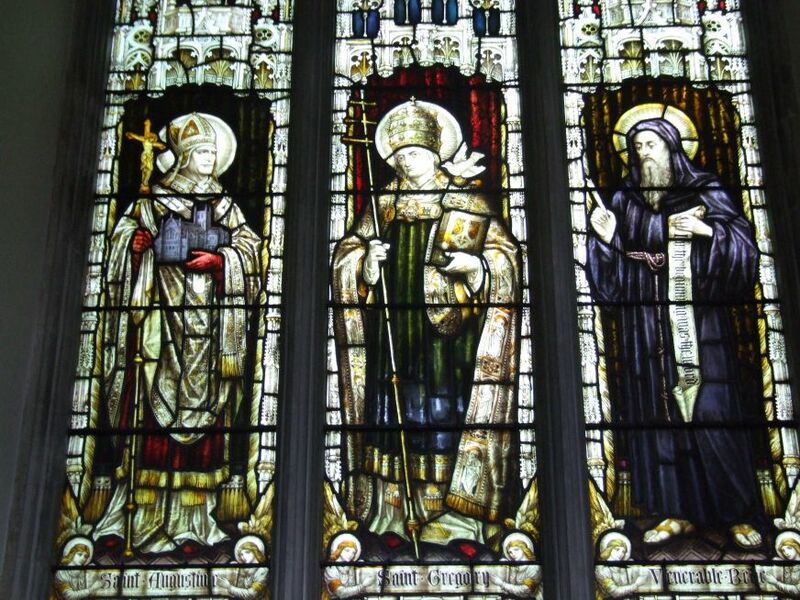 The college was a secular College of Canons, dedicated to St Gregory, and the church, which had formerly been in the gift of Nuneaton Priory, became the collegiate church. If you step through the gateway to the west of the church, the buildings in front of you are the former Union Workhouse of the 1820s - this was the site of the College, and supposedly the cellars survive under the workhouse, now private houses. 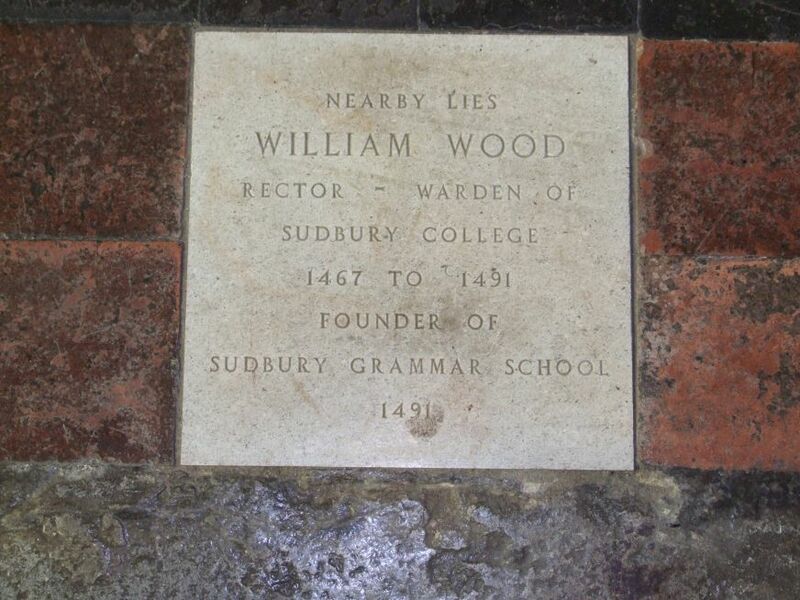 The Collegiate body consisted of a Warden (later known as Master), five secular Canons, and three chaplains (later known as Fellows). 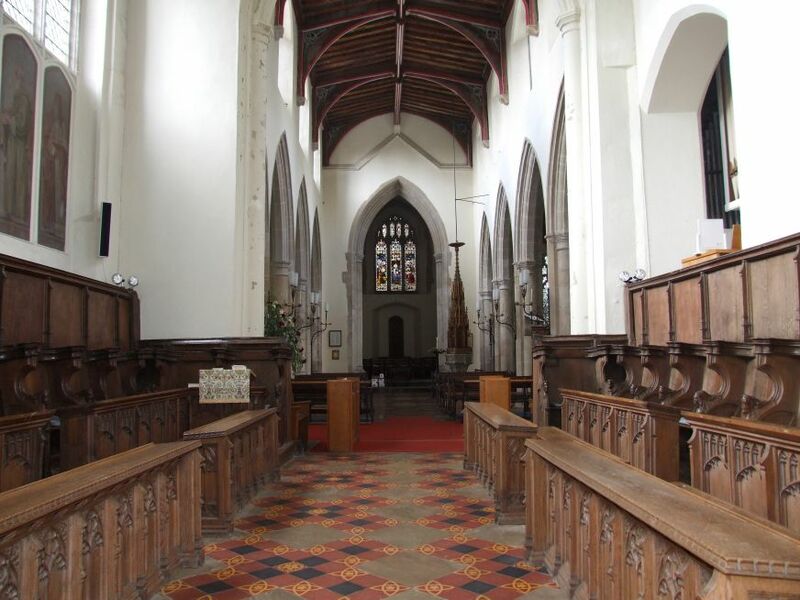 he secular canons would act as Priests; probably, those who were not acting in a parochial role were mostly saying Masses for the dead - Simon de Sudbury and his brother John had the All Souls chapel built at St Gregory for Masses to be said for their parents. But also, remember that St Gregory was the main parish church of the town. 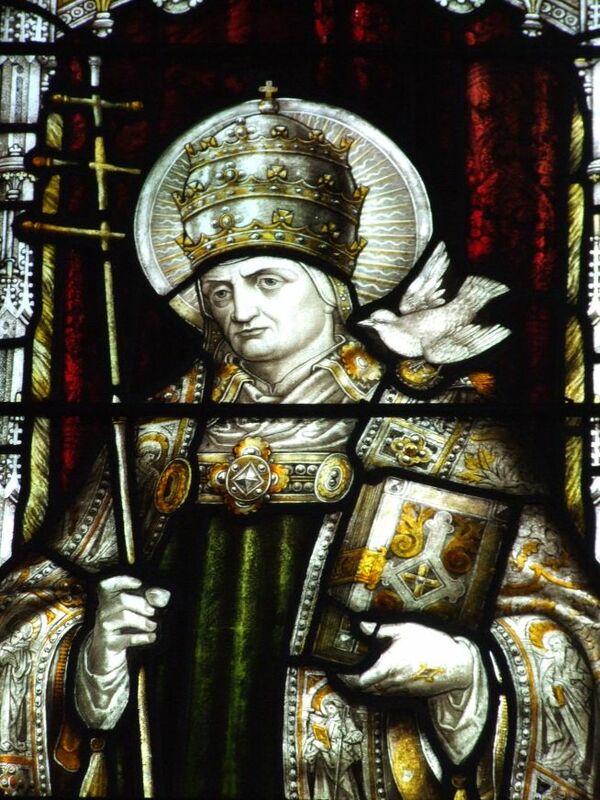 There was no Rector of St Gregory - the College itself owned the Rectory, deriving tithes for its own purposes, and had to provide the expected sacramental activities. 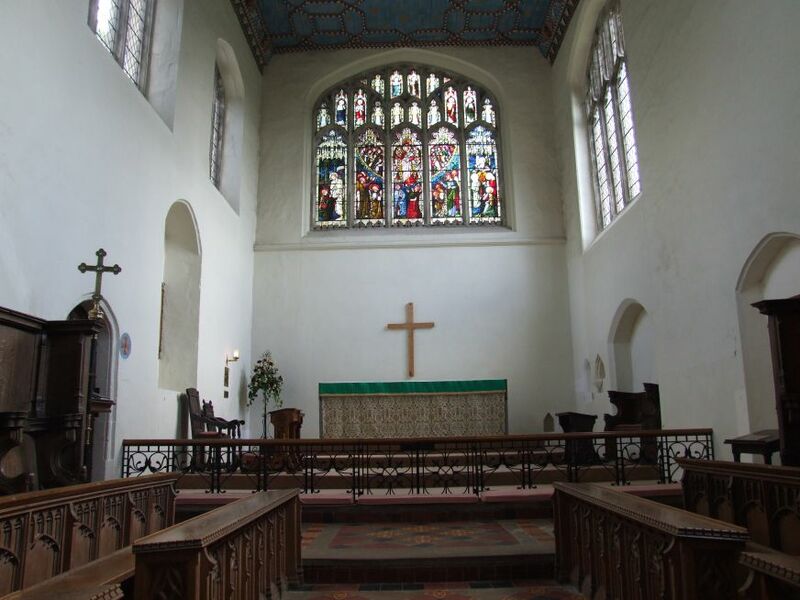 The Chaplains would, as the name suggests, perhaps have been responsible for the chapels (As well as St Peter, there was another chapel of ease at St Bartholomew on the road to Melford). There was always plenty of work to do in the English Catholic church - one wonders how any large churches survived without a college! - and it is little wonder that the Reformation, and the switch to Anglican congregational worship, put an end to them. Nothing now remains. I am afraid that the ornate gateway is not from the college - it is modern, although it does bear the arms of Simon de Sudbury. You might notice that there is a statue of a Bishop on the adjacent Croft, and this might lead you to think that Sudbury was proud of its wayward son Simon. In fact, this statue is Bishop Aelfhun, who died in Sudbury in 798. Stephen Hough tells me that the mention of this death in the Anglo-Saxon Chronicle is the first time that the placename 'Sudbury' is recorded. St Gregory is a grand, urban church, but it is rather more than that. Here, the sense of continuity and the story of Suffolk down the long generations is as resonant as any feeling of civic pride. And once again, this is the main church of Sudbury, because St Gregory parish has now subsumed that of St Peter in the market place, which was declared redundant in the early 1970s. Even so, you can't help thinking that the congregation must rattle around in this great space.